There’s been backlash against selfies over the past couple of years. People want to call it narcissism. I call that bunk. I love your selfies. I love seeing your face today, your hairstyle, what you’re wearing. I love seeing you with your kids, with your partner, with your grandma, with your dog. I love seeing you do something that you love, or try something for the first time. I love seeing you in black and white, in color, with or without a filter. I love seeing YOU because, as I’ve said before, you are real friends.And so today I ask you to show us your selfie. No, really. Show us your selfie. A real one, a funny one, one that tells a story, a new one, an old one, whatever selfie you want to show us today, I want to see it. I want to see YOU. For those of you who look at the website (that plugin in the right hand column) or who are connections on Instagram or Facebook, have seen quite a few selfies of/from me. But I know some folks don’t do selfies or get them anymore than some folks get why people like me share photos of great food. So what are my thoughts on selfies? I’m a backer of some and yet I understand the backlash against some. I know, it sounds like a political answer. And yet I can explain. Like Jenna, I was taking selfies long before phones had the button that made it so easy. I’ve taken them with generations of smartphones, with little point & shoot cameras, with remotes for my big cameras on a tripod or balanced on a car. I kind of feel like Green Eggs & Ham as I can say honestly I would take them here and there, I’d take selfies most anywhere. But why? I have a rare flexibility to travel and experience things, meet awesome people. Among my family and friends are people who are interested in seeing some of the things I get to see. Some of those rare experiences that make me smile from ear to ear. I share those moments to others can see parts of what I’m doing & seeing. 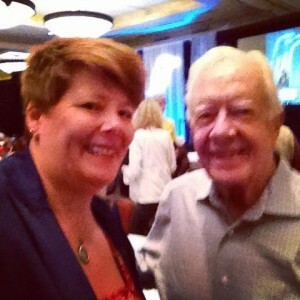 Recently I met former President Jimmy Carter … that was a great selfie moment though later a friend happened to snap a better shot of me chatting up the President & Mrs. Carter. Earlier this year I had a once in a lifetime opportunity to go to Obregon, Mexico — the place where Norman Borlaug started the green revolution — to see the progress being made there and the challenges that remain. A lot of friends had an interest in seeing things from my vantagepoint. Independence is a big part of who I am but there are times when I am in the middle of something and think…. this… this is a moment to capture. A uniquely quiet time. Those times, I tend to use a remote or timer, like when I did my big Montana roadtrip and stopped in Jackson Hole in front of the rugged fence & Grand Teton mountains. Because capturing a solo moment is so important to me, I have also asked lots of people to snap a photo for me, heck I even carry a point and shoot specifically so people can snap pics but I have to say, the timer or remote and my patience tend to work better than the first shot by a stranger who doesn’t have my eye for what I’m trying to capture the moment. One of the ones that grabbed me was when I was wandering through the Detroit airport en route to Japan last summer when BAM! My brother & sister-in-law called out to me! 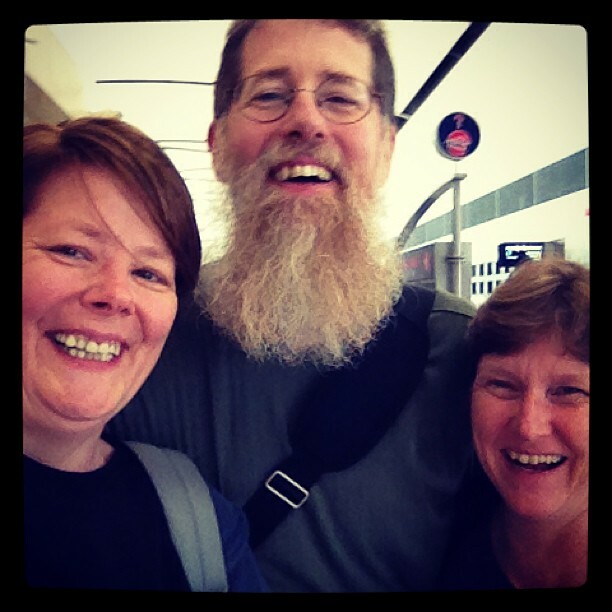 They were on the way to the UK for a vacation! Another was when I was at a playoff game for the St. Louis Blues and I ran into a friend from Australia I hadn’t seen in years. YES YEARS! Those are just the sort of things you have to share! One of the first reasons is I have lots of family & friends who live in other cities, states, countries… social media is a way to keep up. I love seeing their faces and at least some of them enjoy seeing what I’m up to. And when I get to hang out with them, I love capturing some of the moments! Smiles are always enormous and I feel like I have to share the joy. 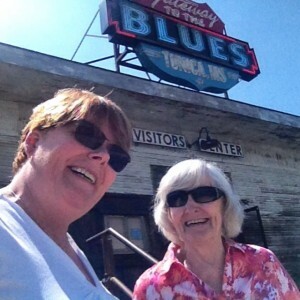 I mean look at this photo of my mom & I in Tunica, MS…. friends and family just had to smile! Last year’s BlogHer conference gave me plenty of reasons to smile and some were captured with photos. Am sure I’ll be having some to share next weekend! 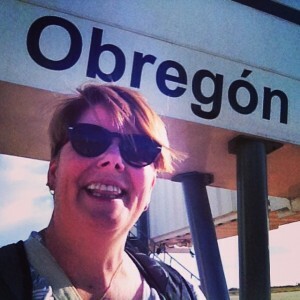 And for me…. that sharing smiles…. that’s probably the biggest way I use selfies… a way of sharing smiles. And in the world of social media these days I think we could use more. Sure some of us selfie folks may go a bit overboard at times…. if and when that happens, just assume the person meant the best and keep going along your way. Don’t bother creating a backlash cause that’s more likely to bother you than you need. Instead, find something that will make you smile and whether you choose to share a photo of it or not, you end up in a better spot! « St. Louis A to Z: Q is for the Queeny Family and Queeny Park! I like selfies although I don’t take many of them. Maybe because so many are just in the moment. I like selfies with meaning. Not your outfit every morning but ones with smiles like you said make tons of sense. I do like seeing them too. They are memories of where we’ve been. Amber, I have to admit, I totally prefer the “selfie duet” as I heard it called today. 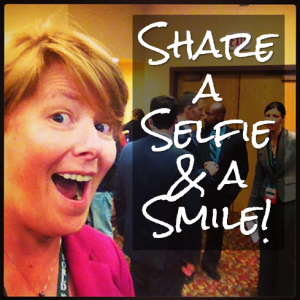 This blog post by someone else going to BlogHer shares a similar mindset, easier with others there http://fiftyfiftyvision.com/just-the-two-of-us-the-selfie-duet I will admit, I take more selfies then I share… easier to be more critical of myself when nobody else is in the photo sharing a smile. You make a good point. I rarely take “selfie duets” and I usually wish later I had a photo of a friend I met up with or even a photo of me someplace. Need to take more selfies! Those are my favorites… the kinds where I am so happy to be with someone else… that’s when the smiles come easily!